Neon Dreams are now readying the release of a new EP, Wolf, Princess & Me, set to come out on Dreaming Out Loud on Sept. 22. This release comes hot on the heels of another radio hit single, “Find A Way.” Featuring the guest vocals of Sarah Mark, it is an infectious track perfectly timed for the summer season. 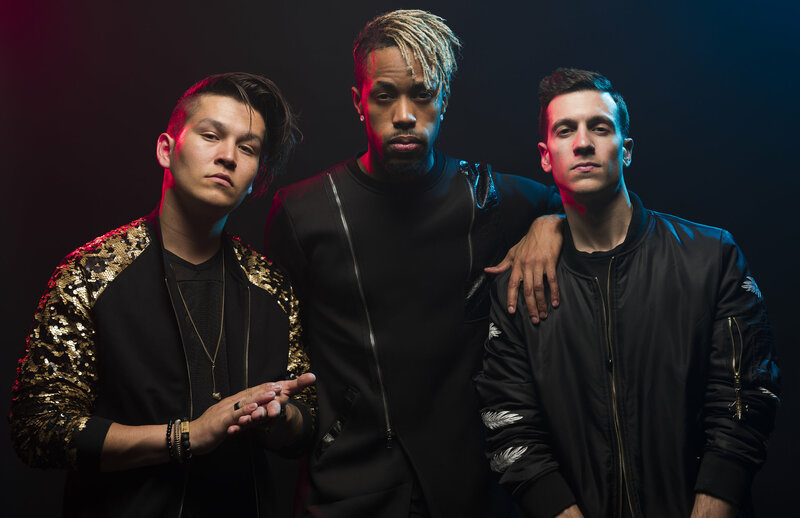 The fact that the group beat out such prominent fellow nominees as Shaun Frank, Tory Lanez and Party Next Door in that category definitely placed Neon Dreams on the music industry radar. That core trio stuck together through a couple of different musical incarnations. One of these was a pop-punk quintet that made a splash locally. The musical tastes of the guys then evolved, first into hiphop and then electronics. Matt explains that “when these bands came along incorporating electronics and rock, we wanted to do that too. We started a new group, and that’s when Corey LeRue started performing with us.” LeRue was a Halifax-based DJ and producer, and his influence would be crucial to the development of the Neon Dreams sound.